The Old Rectory was built in 1846, an early Victorian house in the Georgian style, and is set in three acres of lawns and mature trees. The garden is filled with wildlife: wood pigeons, finches, pheasants, the odd heron and fox, squirrels and, at night, badgers. The Old Rectory sits opposite Stewton's Norman church, at the end of a quiet lane, with only a farm close by, making this the perfect place to relax. A warm welcome is what we specialise in. 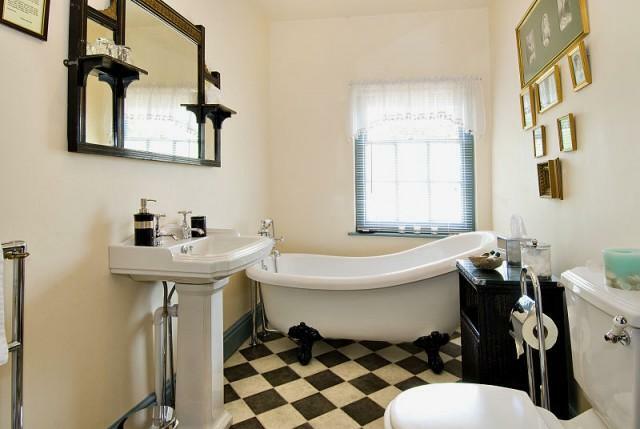 All of our bedrooms have en suite bathrooms. They all have coffee and tea making facilities. 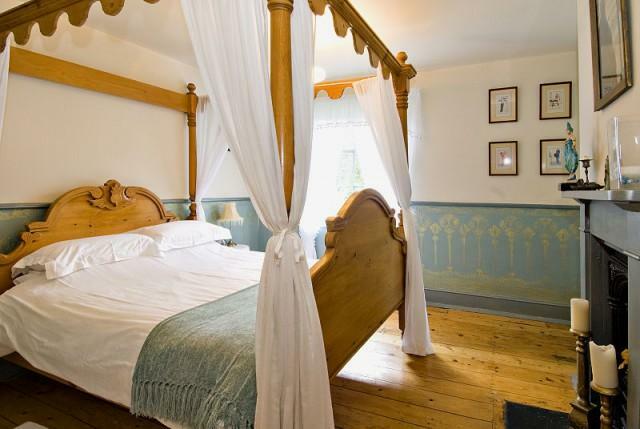 Our suite has a four-poster bed, adjoining sitting room with sofa bed, en suite bathroom and separate single bedroom, making it ideal for a family or group, or as a luxuriously spacious double room. We welcome children of any age and can provide a travel cot and high chair. All bedding is 100% cotton and all the beds have down duvets and pillows but synthetic bedding is available for those who prefer it.